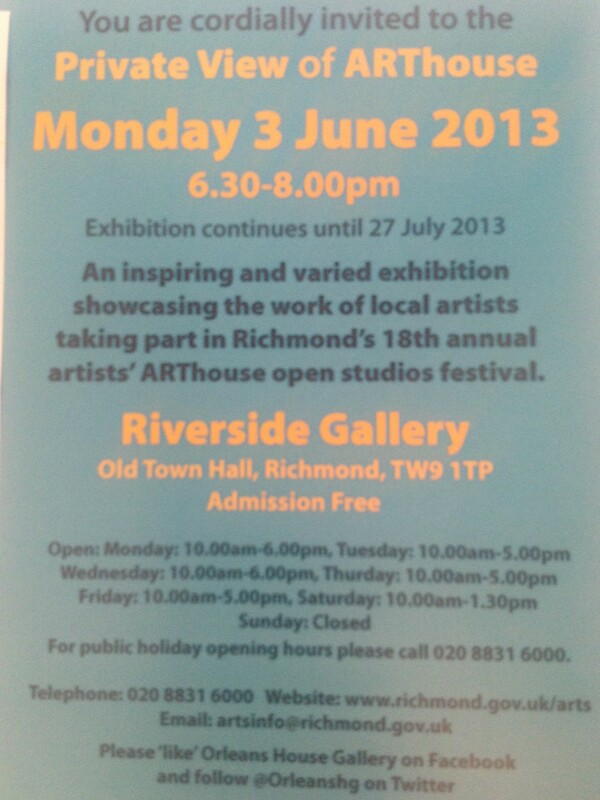 Here is an invitation to the private view of the ARThouse Open Studios Exhibition on Monday 3rd June from 6.30-8.00pm. The Exhibition is on until 27th July at the Riverside Gallery, Old Town Hall, Richmond, TW9 1TP where I am displaying a piece of my work. My house will be open over the ARThouse Open Studios weekends 21-30 June to show my range of vintage scarf and linen cushions. Advance news of this new market starting Saturday 15th June 2013 where I will be taking a stall along with an unusual mix of craft artists. Some space still available I think – contact Marina on 07415 442224. Open from 10.30am to 4.30pm at the junction of Middle Lane and Elleray Road.